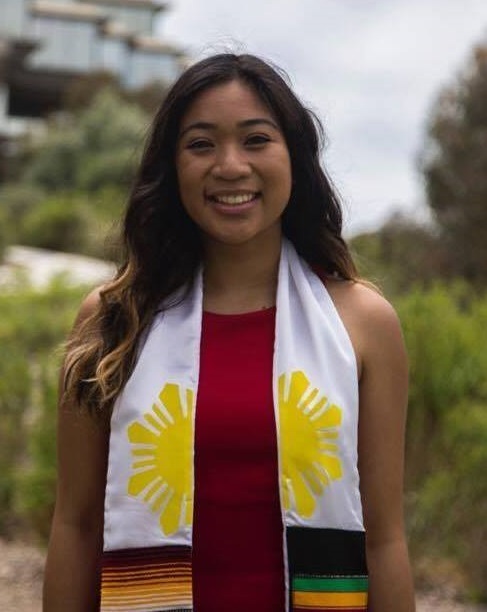 During her years as an ethnic studies major at the University of California, San Diego, Danielle Bulante built a passion for social justice. Among her classmates and professors, she often had discussions on the public school system and the challenges it faces. She and her classmates talked about social justice and ways to provide more education to low income areas. But there was one problem: these were just discussions. Danielle wanted to move beyond concepts and participate in the ideas she closely valued. “I decided to join Saga because it’s a great opportunity to get experience in underserved communities,” Danielle says. Like other Saga Fellows, she elected to take a gap year between undergraduate and graduate school to tutor in Chicago. Growing up in the suburbs of Los Angeles, Danielle was familiar with city living. But Chicago was thousands of miles away from home, and she didn’t have a safety net to fall back on. She reached out to her college professors and advisors for advice and found something better—a network of people and organizations at her fingertips. As she prepared for her trip, Danielle also began looking for housing through Saga’s online database, which both current and new Fellows can use to access information about affordable housing options in the city, as well as potential roommate interests, hobbies, and preferences to help them identify and transition comfortably. When she began looking for an apartment, she created a post asking for tips and insight. Quickly, she learned of an opening at another soon-to be Saga Fellow’s apartment, and she jumped on the opportunity. “It was actually really easy, and I was able to find an apartment quickly,” Danielle says. Once Danielle had all her arrangements set, she was left with the challenge of physically getting herself—and her possessions—halfway across the country. Driving would be too time-consuming, and shipping her belongings would be too expensive. When it was time to make the trip east, Danielle and her mother loaded two large suitcases full of her possessions and used them as their checked bags. The two flew east and landed at Chicago’s O’Hare Airport with everything she’d need for her year as a Saga Fellow. Danielle tutors on the Southside of the city and has kept an open mind towards a city that’s often represented in the news as violent and fractured. Before she left California, friends warned Danielle to be careful of the community. But her experiences teaching and interacting with the community have shown her a side of South Chicago not portrayed often enough. Since August 2017, Danielle has attended workshops and tutorials hosted by Teachers for Social Justice and has gained valuable insight into Chicago’s school system. She often incorporates their concepts into her work with Saga, and those lessons have helped her build strong relationships with her students and accomplish the goals she had established for her gap year. When Danielle isn’t tutoring or connecting with Teachers for Social Justice, she spends some of her free time with other Saga Fellows, many of whom come from small towns and are new to navigating a major city. Danielle has been able to teach them public transportation and how to keep up with the fast pace. In return, she has become friends with people from all over the country and who all share a passion for teaching. Danielle plans to return to California next year to earn her master’s degree and teach ethnic studies, a class that is in the process of becoming a requirement for all high school students in the state. But she’s also keeping her plans open for the future; she’s considering teaching a second year in Chicago or New York, and looks forward to the opportunities she’ll have after her Fellow year is over. Danielle says she is thankful for having the time to work hands-on with Saga, and to using her experiences to help propel her future teaching career.